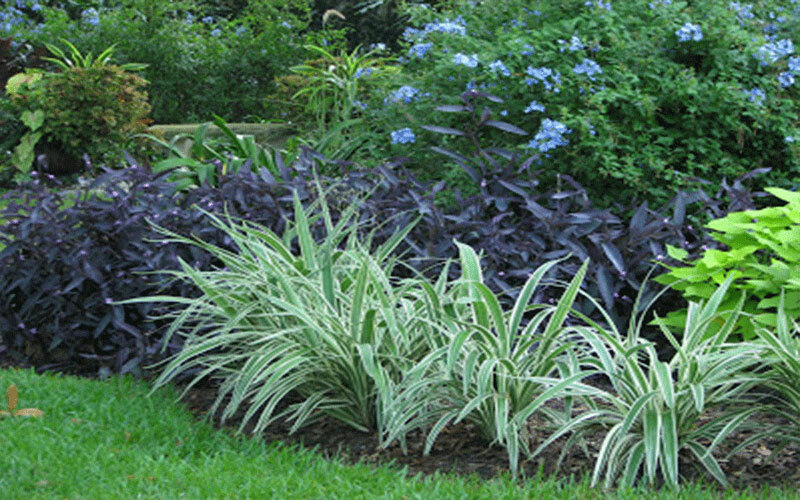 The Flax has become the choice in the Florida Friendly Landscape for a low vertical growing ground-cover over other type border grasses. It uses less water, has fewer pest problems and performs well under water stress. Flax Lily is excellent in combination with flowering and tropical borders of any color as the neutral white and green tones accent other plants perfectly. It makes the perfect 'THRILLER' component for combination planting using various color schemes. 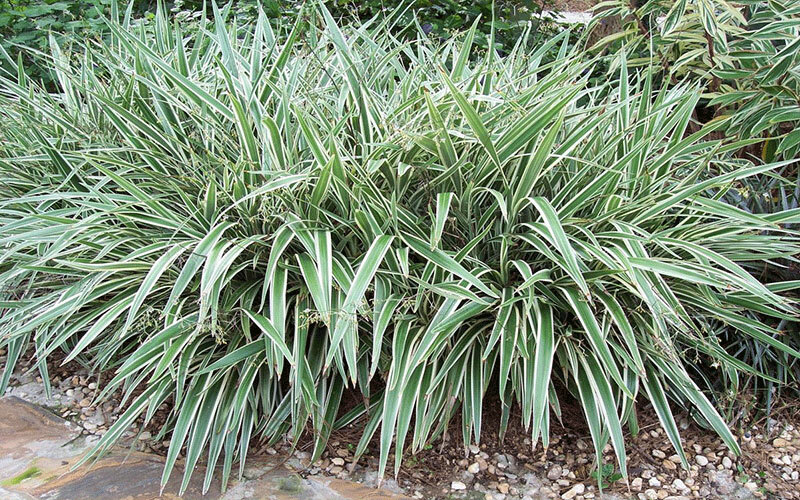 The many varieties like the popular Ti plant are favorites for the unusual foliage color of certain ones, and the upright growth habit that allows these plants to fit in narrow spaces. 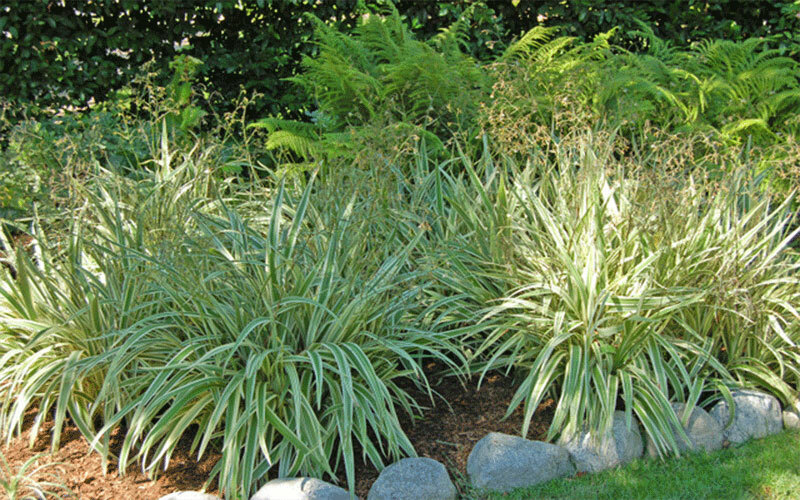 Some tropical accent plants, like amaryllis and agapanthus, have strappy leaves, while others are more grass-like (African iris). Then there are the enormous leaves of elephant ears or the spiky, upright crinum lilies. We've also included some succulent plants such as agave, many with blue-green or blue-gray foliage. Breathtaking Blooms: Flower shapes range from rounded clusters atop tall stems (agapanthus) to Jack-in-the-Pulpit type blossoms (peace lily). Eye-catching colors include white, purple, orange and red, and even bright blue-violet (Blue Flag iris). 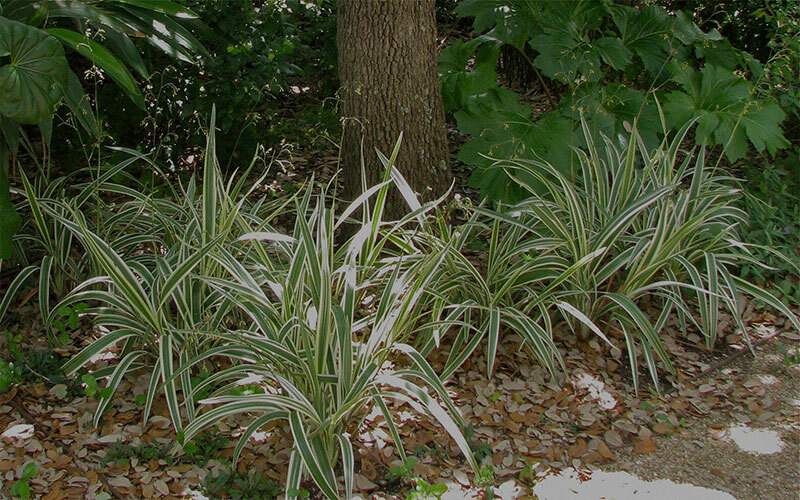 Tropical accent plants can be large and bulky, tall and slim, or even small and low-growing like many bromeliads. You have plenty of options no matter size area you have to work with. Many of the plants in this section benefit from afternoon shade, though some can handle all day sun.